An adventure in sustainable living. 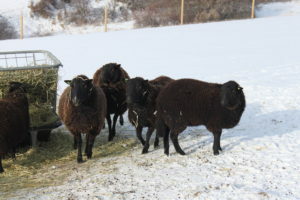 Feathered Horses Farm is home to six lovely purebred BWMS ewes. All are bred to either Thorin or Mutiny Bay Meade. Ama is the youngest and smallest ewe. 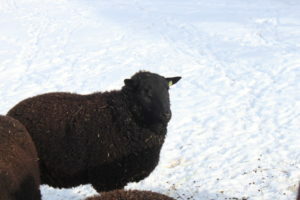 She has lovely dark black fleece. Ama is bred to Thorin for 2018. 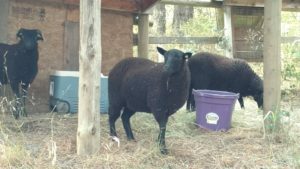 Bree and Arwen were our original two ewe lambs. They are both from top fleece producing lines. Both girls are bred to Thorin for 2018 lambs.